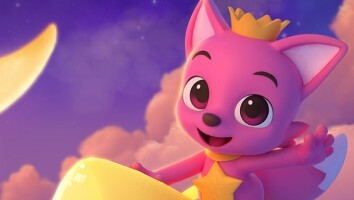 UK-based Zodiak Kids' distribution arm has landed a slew of new television deals with Latin American and Spanish broadcasters. 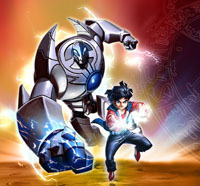 UK-based Zodiak Kids’ distribution arm has landed a slew of new television deals with Latin American and Spanish broadcasters. 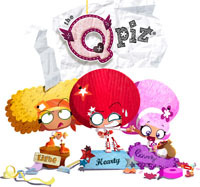 Cartoon Network Latin America has picked up animated espionage seriesTotally Spies (156 x 26 minutes), Totally Spies The Movie (1 x 75 minutes), Redakai, Conquer the Kairu (52 x 26 minutes), and girl-skewing short cartoon series The Qpiz (52 x 3 minutes). YUPS channel (Latin America) has acquired series one and two of comedy sitcom Dani’s House (25 x half hours); series one and two of Trapped (52 x half hours) and the children’s supernatural series Summer in Transylvania (20 x half hours). Spanish channels ETB and TV3 Catalunyakid’s channel, Super 3.Super 3 have acquired Rekkit Rabbit (104 x 13 minutes); comic book spy series Amazing Spiez (52 x 26 minutes) and comic book cartoon series Marsupilami (52 x 26 minutes). 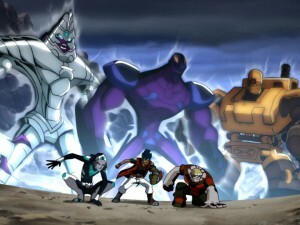 ETB also bought series one, two, four and five of Totally Spies (104 x 26 minutes), series one and two of Amazing Spies (52 x 26 minutes) and 26 episodes of Martin Mystery (26 minutes).